There are five different laboratories aboard the JOIDES Resolution, each contributing a unique set of measurements for each core. Here are the scientists in every lab group and a short intro on what their lab tries to find out about each core. The co-chiefs and the staff scientist are the leaders of the scientific group, making sure that both the science and the logistics of the expedition are as smooth as can be. 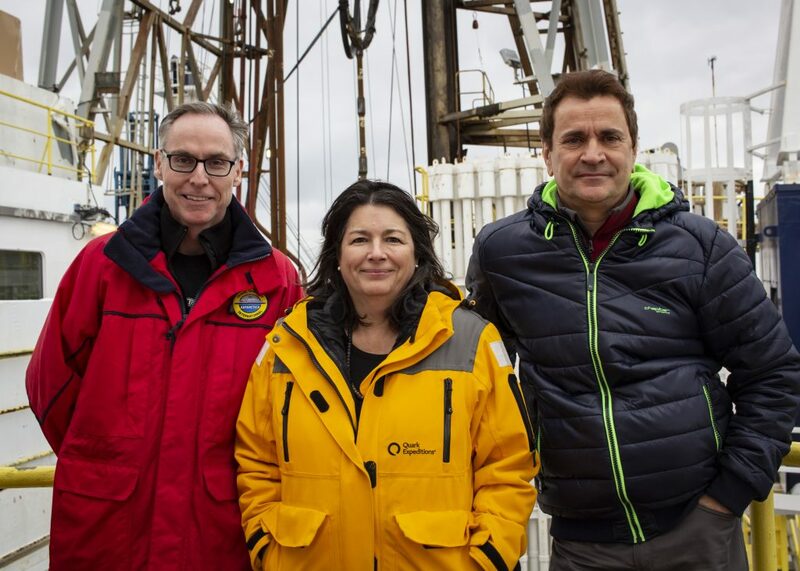 From left to right: Staff Scientist Trevor Williams, IODP; Co-chief Mo Raymo, Lamont-Doherty Earth Observatory; Co-chief Mike Weber, University of Bonn. Credit: Lee Stevens. Here the scientists take a variety of measurements on the core sections, such as density, amount of space between sediment grains, and the flow of heat to name a few. They can use these measurements to relate the sediment in the core to changes that happened in Earth’s past. 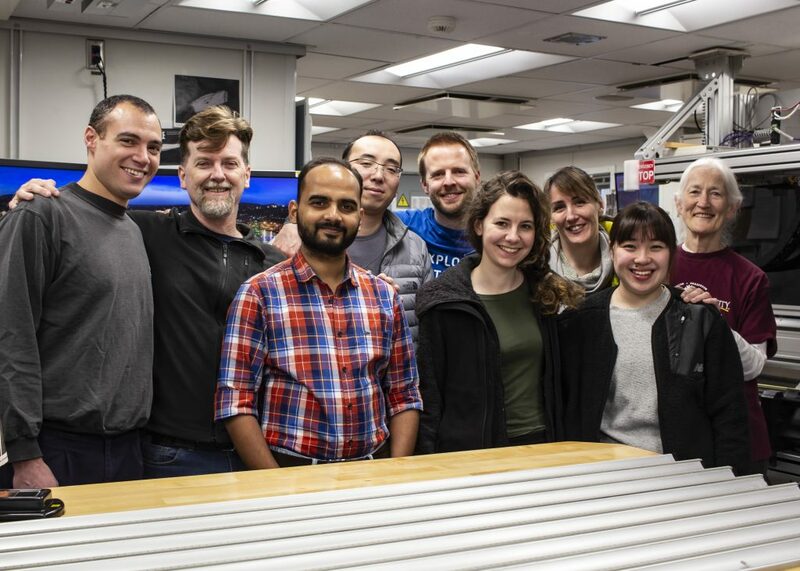 Back, left to right: Lara Perez, British Antarctic Survey; Yasmina Martos, NASA Goddard Space Flight Center/University of Maryland; Ian Bailey, University of Exeter; Sidney Hemming, Lamont-Doherty Earth Observatory; Xufeng Zheng, Chinese Academy of Sciences. Front, left to right: Marga García, University of Granada; Michelle Guitard, University of South Florida, St. Petersburg. Credit: Lee Stevens. The paleontology lab uses microfossils — fossilized skeletons of tiny animals and algae — to determine the age of the core. They can also tell from the variety of organisms what the ocean habitats and ecosystems might have been like at those times. Back left: Linda Armbrecht, University of Adelaide; Jonathan Warnock, Indiana University of Pennsylvania. Front: Ivan Hernandez-Almeida, ETH Zürich; Frida Snilsveit Hoem, Utrecht University; Yuji Kato, Nagoya University. Credit: Lee Stevens. 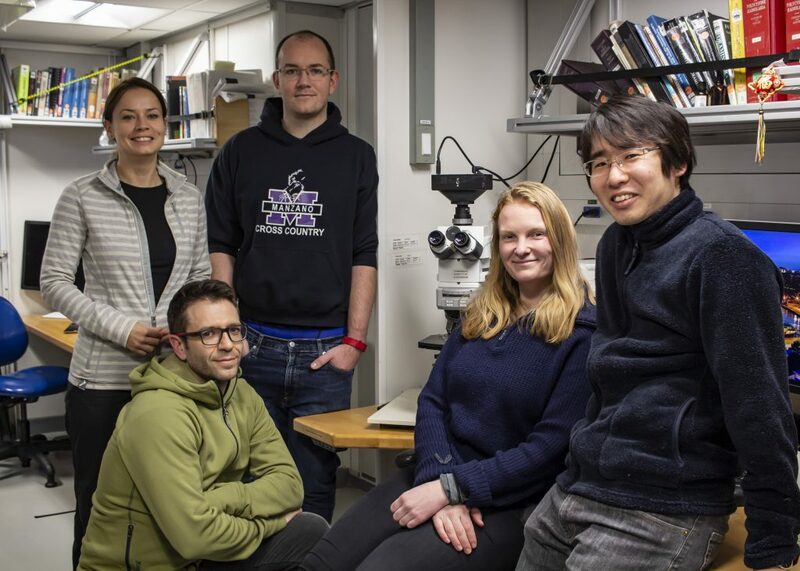 The scientists of the paleomagnetics lab use the magnetic properties of the cores to figure out how old the sediment is based on past changes in the Earth’s magnetic field. They can also use the kinds of magnetic minerals found in the core to figure out where sediment comes from and how it got there. 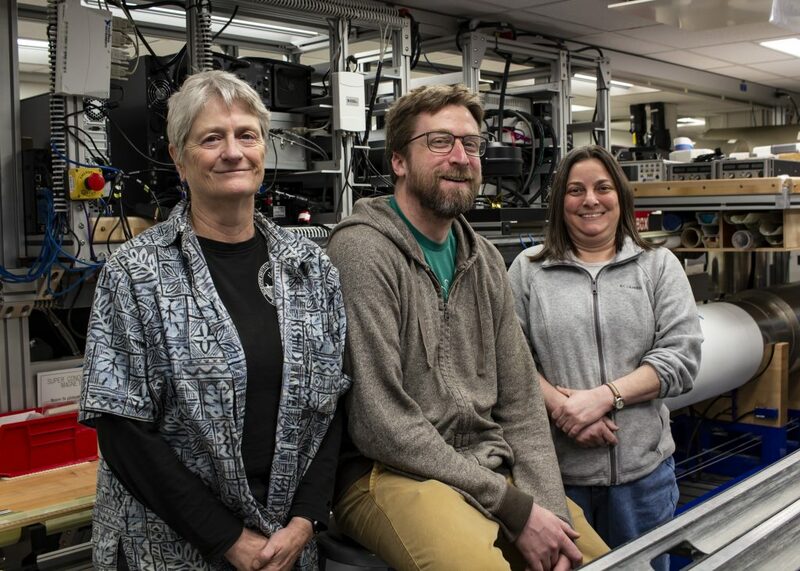 From left to right: Lisa Tauxe, Scripps Institution of Oceanography; Brendan Reilly, Oregon State University; Stefanie Brachfeld, Montclair State University. Credit: Lee Stevens. In the sedimentology lab, scientists describe what the core looks like and what it is made of — determined by studying at the sediment under a microscope. They are looking for changes in the core that might mean a change in the environment. From left to right: Fabricio Cardillo, Servicio de Hidrografía Naval; Gerson Fauth, University of Vale do Rio dos Sinos; Shubham Tripathi, National Centre for Antarctic and Ocean Research; Zhiheng Du, Chinese Academy of Sciences; Thomas Ronge, Alfred Wegener Institute Helmholtz-Center for Polar and Marine Research; Anna Glüder, Oregon State University; Vicky Peck, British Antarctic Survey; Mutsumi Iizuka, Tokyo City University; Suzanne O’Connell, Wesleyan University. Credit: Lee Stevens. Here the scientists use the breakdown of chemical elements in the sediment to find what the sediment is made of and where it has come from. They also do the very important job of checking cores for high levels of gas to make sure drilling operations are safe! From left to right: Ji-Hwan Hwang, Korea Basic Science Institute; Osamu Seki, Hokkaido University; Bridget Lee, University of California, Riverside; Marcus Gutjahr, GEOMAR Helmnholtz Centre for Ocean Research Kiel. Credit: Lee Stevens. 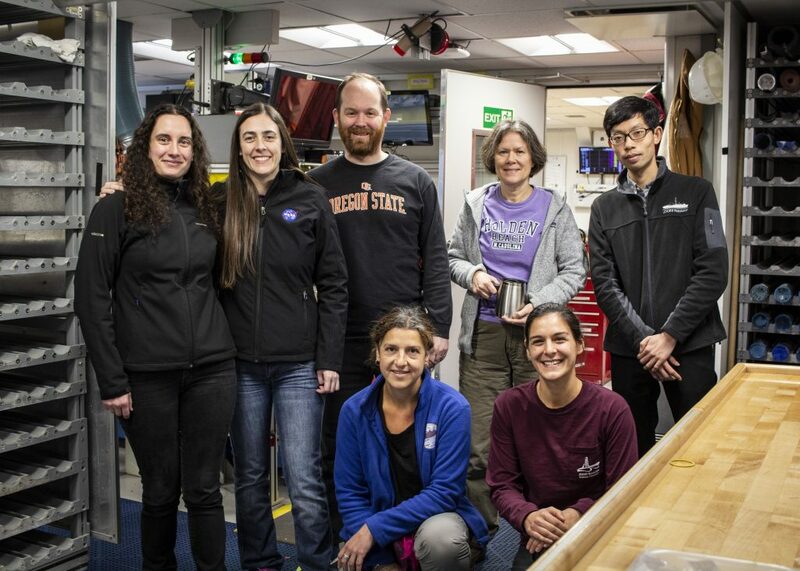 These labs may use different instruments and even be on different parts of the ship, but by working together they can provide a full story about what might have happened during each core’s period of Earth’s history. Teams with different areas of expertise together on the JOIDES Resolution at the same time recover all this information in mere weeks, when it might have taken months or years back home!